Once again folks, we are confronted with a demented way of thinking and acting by the Obama administration’s Department of Homeland Security as it relates to our national and personal security. Whoever decided to place refugees, some of whom are here on worker visas, into jobs that involve access to baggage and airplane cargo space is as crazy as anyone considering Bernie Sanders for president, and complicit to granting an easy opportunity for terrorism. As it stands, the recent downing of a Russian commercial jet over Egypt is being labeled a probable terrorist act. The thinking is that members of ISIS or an affiliate placed a bomb on board while the airliner was on the ground at Sharm el Sheikh airport in the Sinai. So, on the heels of a possible breach in security at the Egyptian airport comes a report of an investigation that has been quietly going on for about a year in Phoenix, Arizona concerning troubling facts about who has been given access to sensitive areas of our airports. In fact, Phoenix’s Sky Harbor airport granted a company called ISS (not to be confused with ISIS) to hire their airplane cleaning crews, who by the way have all kinds of access to the jets. Oddly enough, the offshore company with a subsidiary in San Antonio was awarded cleaning contracts for several airports, even though the company consistently had the highest bid. In the case of Sky Harbor, the contract totaled some $10 million per year in 2013. 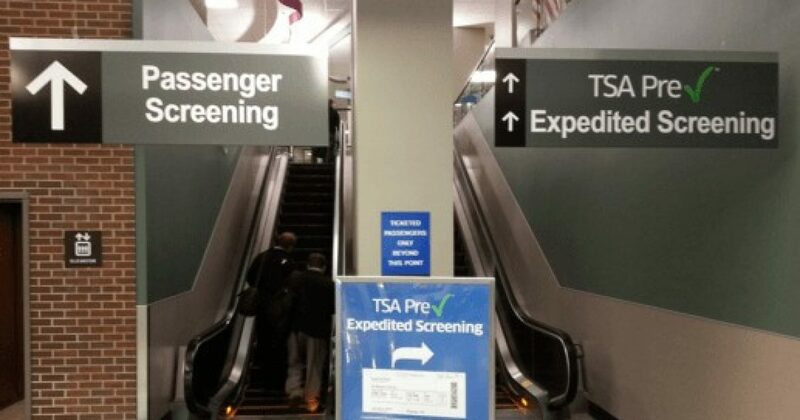 Lisa Benson, a national security radio host and speaker, looked into refugees with access to TSA secured areas after a Southwest airline pilot tipped her off to the disturbing trend of foreign workers in certain areas of the airport. Further, she found that not only Phoenix, but 13 other cities whose airports had the same hiring practices. The list includes St. Louis, Denver, Detroit, Orlando, Salt Lake City, Seattle, Portland, Ft. Lauderdale, Atlanta, Charlotte, Chicago, Minneapolis, Richmond, San Francisco, Tampa, and Anchorage. Most of the cleaning crews hired tend to be Somalis. Somalia, the land that brings us the rich heritage of al-Shabab, the terrorist organization who murdered 147 Christians at a Kenyan University this past spring as well as the attack on the Westgate mall a few years ago that killed 67 people. Obviously not all of the Somali refugees are terrorists, but why risk putting a group of non-Americans in sensitive jobs that have the possibility of affecting our travel security. If we can’t get ahead of this issue, something bad will happen which not only will cost lives, but could change a lot of the ways we go about living our everyday lives. Ambassador Woolsey would like to see Congress hold hearings on this issue, which would require a thorough investigation. Vetting workers cleaning the planes makes much more sense than the current set-up we have now. In addition, people who work in airports with access to the airplanes should be thoroughly checked, and their behavior watched closely for any signs or tendencies towards terrorist leanings. We are at war with an ideology that espouses terror, and that ideology is present with many who live within our borders now. It is no longer a war “over there.” Sadly, the sooner we start to think with that attitude, the safer we become.